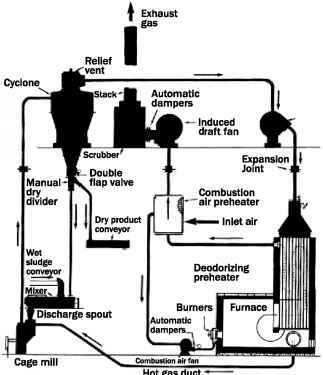 Secondary sludge is the biomass produced by a secondary treatment process, such as activated sludge with its numerous variations, such as extended aeration, oxidation ditch, complete mix, plug flow, step feed, sequencing batch reactor (SBR), and membrane bioreactor (MBR); and attached growth systems, such as trickling filters and rotating biological contactors. Secondary sludge also includes nonbiodegradable inorganic particulate matter not removed by primary settling. The solids become incorporated into the biomass. Since the amount of organic loading to the secondary treatment process is the most important factor in the production of biological solids, the rate of removal of biological or chemical oxygen demand (BOD or COD) in primary settling is very important. As mentioned earlier, BOD removal is approximately 50% of the suspended solids removal in primary clarification.